Join us for our Greater Atlanta Metastatic Breast Cancer Conference. This conference will focus on providing information that is important to those living with metastatic (stage IV) breast cancer and their caregivers. Come hear more about topics such as clinical trials, understanding metastatic breast cancer, health & wellness, a breakout for those newly diagnosed, and MUCH MORE! Combating Metastatic Breast Cancer: From Basic Discovery to New Medicine. Presented by Komen Scholar, Dr. Yibin Kang. Learn more about Dr. Kang below. There is no cost to attend this conference and breakfast and lunch will be provided. If you have already RSVP’d for the conference and can no longer attend, please email Alexis Jackson at mission@komenatlanta.org or call our office at (404)814-0052. Space is limited. A block of rooms has been reserved for conference attendees at the Georgia Tech Hotel and Conference Center. The cutoff date is April 17th. Book your group rate for the Conference. Unable to attend in person? You can still catch the agenda via livestream! Register here to make sure you receive all the details! The conference is geared towards people living with metastatic breast cancer and their caregivers but is open to breast cancer patients of all stages. Yibin Kang, Ph.D. is a Warner-Lambert/Parke-Davis Professor of Molecular Biology at Princeton University. After completing his graduate study at Duke in 2000 and his postdoctoral training with Dr. Joan Massague at the Memorial Sloan-Kettering Cancer Center, Dr. Kang joined the faculty of Princeton in 2004. 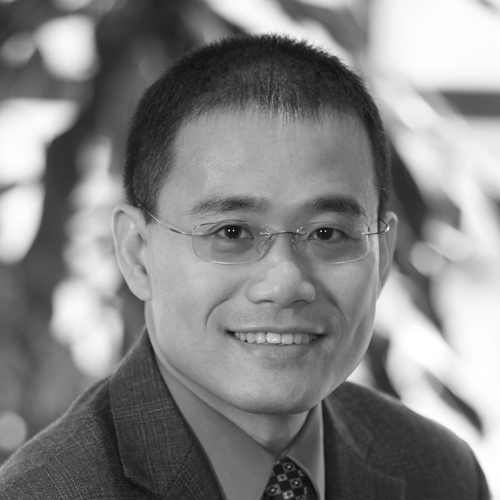 Dr. Yibin Kang’s research focuses on the molecular mechanisms of breast cancer metastasis. He discovered new genes that promote breast cancer recurrence, metastasis, and resistance to chemotherapies. His research focuses on tumor-stromal interactions that mediate organ-specific metastasis of breast cancer to bone and other vital organs. Dr. Kang also studies epithelial-mesenchymal transition (EMT), a key step in metastatic progression, to find new actionable targets. Dr. Kang’s Komen Scholar grant will study how E selectin, an adhesion molecule normally recruiting leukocytes during infection or vascular damage, functions as an essential component of cancer cells etastasizing to the bones, including promoting the survival and proliferation of metastatic tumor cells. View below our various partners that will be a part of our resource fair! Amgen – Amgen strives to serve patients by transforming the promise of science and biotechnology into therapies that have the power to restore health or save lives. They aim to fulfill their mission to serve patients. AstraZeneca – AstraZeneca is a global, science-led biopharmaceutical business and our innovative medicines are used by millions of patients worldwide. Atlanta Legal Aid Society – The Atlanta Legal Aid Society’s mission is to deliver legal services and legal education designed to improve the social, political, and economic conditions of low-income persons . Their Breast Cancer Legal Project provides holistic legal services to low-income breast cancer patients and survivors in metro Atlanta. Cancer Support Community, Atlanta – The CSC are dedicated to ensuring that all people impacted by cancer are empowered by knowledge, strengthened by action, and sustained by community. They provide support groups, cooking demonstrations, educational seminars, gentle exercise classes, social gatherings, and above all, new friendships. Cancer Treatment Centers of America, Atlanta – At CTCA Atlanta, we specialize in the diagnosis and treatment of adult cancer patients. You and your caregivers can participate in various activities and classes to help you relax and enjoy your stay as much as possible while going through treatment. Casting for Recovery Georgia – Provides healing outdoor retreats for women with breast cancer, at no cost to the participants. The retreats are open to women with breast cancer of all ages, in all stages of treatment and recovery. Celgene – The Company’s commitment to changing the course of human health through bold pursuits in science, life-enhancing therapies and a promise to always put patients first. Eisai – Eisai are a human health care company capable of making a meaningful contribution under any health care system while observing the highest legal and ethical standards in business activities. They give first thought to patients and their families, and work to increase the benefits health care provides. Eli Lilly Oncology – Lilly Oncology is dedicated to advancing treatment and addressing the unmet needs of people living with cancer. Building on our work in cancer treatment, we are committed to creating a broad portfolio. Genetech – Genentech is a leading biotechnology company that discovers, develops, manufactures and commercializes medicines to treat patients with serious or life-threatening medical conditions. They believe it’s urgent to deliver medical solutions right now – even as they develop innovations for the future and they are passionate about transforming patients’ lives. Living Beyond Breast Cancer – LBBC provides programs and services to help people whose lives have been impacted by breast cancer. Their goal is to provide information, community and support that you can trust, is easy for you to access and respectful of you and your situation. Living With – At Pfizer Oncology, we believe it’s our responsibility to help support and inspire those who have been affected by cancer. We’re telling the stories of real people who are living with cancer and providing tools and resources like the free LivingWith™ app. Love not Lost – Love Not Lost photographs people facing a terminal diagnosis to preserve memories. They are on a mission to celebrate life and support people in grief. With the help of their generous donors, they providare expanding our reach and increasing our impact on patient care by introducing new molecular diagnostic and companion diagnostic tests for a growing number of diseases.e professional portrait sessions as well as a beautiful hand-crafted photo albums at zero cost to the families that they serve. Metastatic Breast Cancer Alliance – The mission of the MBC Alliance is to unify the efforts of MBC Alliance members to improve the lives of, and outcomes for, those living with metastatic breast cancer and their families through increasing awareness and education about the disease and advancing policy and strategic coordination of research funding – specifically focused on metastasis – that has the potential to extend life, enhance quality of life and ultimately… to cure. Myriad Genetics – Myriad has invested heavily in educating patients and healthcare professionals about the role genes and proteins play in disease. They are expanding their reach and increasing their impact on patient care by introducing new molecular diagnostic and companion diagnostic tests for a growing number of diseases. My Style Matters – My Style Matters is dedicated to providing a cancer educational program and hands-on supportive services to build confidence in people of all ages, leading to a better quality of life. Northside Hospital Cancer Institute – Northside Hospital Cancer Institute (NHCI) is the largest and most comprehensive cancer hospital network in Georgia and a leader in cancer care. We deliver the most powerful combination of doctors and oncologists, cancer facilities and support resources of any cancer program in Georgia. The Cancer Blueprint – Their aim is to put patients at the center of their care decisions by helping them access the right information at the right time. Turning Point Breast Cancer Rehabilitation – Turning Point improves quality of life for patients with breast cancer by providing, promoting and advocating specialized and evidence-based rehabilitation. Young Survival Coalition – Young Survival Coalition (YSC) strengthens the community, addresses the unique needs, amplifies the voice and improves the quality of life of young adults affected by breast cancer, locally, nationally and internationally. Bobbie Menneg, Beyond the Ribbon Inc.